How do I change the email address notification when a form is submitted? You can change your notification email's recipient through 'Change E-mail Recipient' condition. 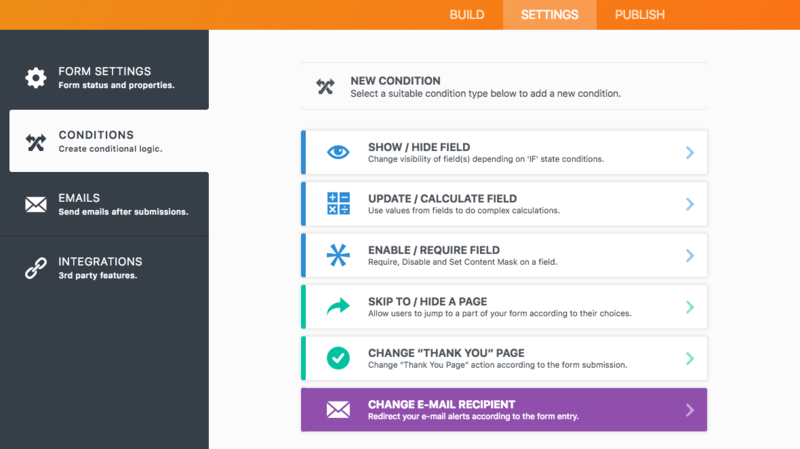 Set your condition from your form's 'SETTINGS' tab. By this way, my recipient e-mail will change to gizem@jotform.com if name field is filled. Also, you can follow this guide for further information.